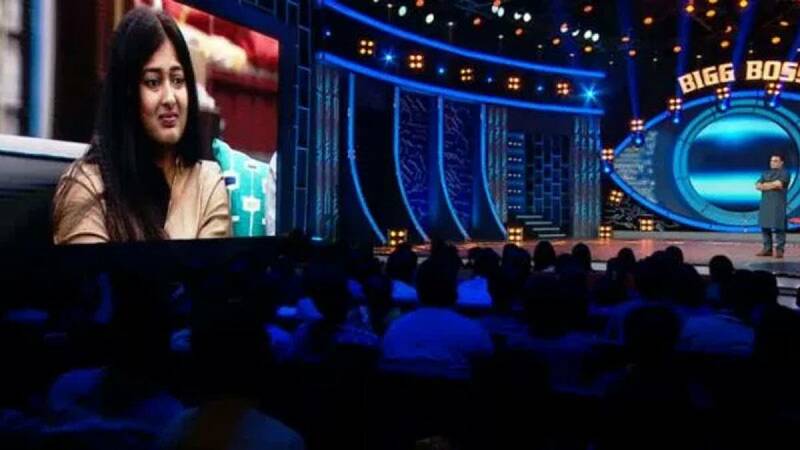 Chennai : Bigg Boss Tamil, hosted by Kamal Haasan, entered in its eighth week with the elimination of Gayathri from the show on Sunday. For the elimination, Gayathri was nominated along with Raiza. The final decision over the eviction was taken on the basis of audience votes. As per media reports, Gayathri was already in the danger zone with audiences not very convinced over her behaviour in the show. Oviya and Gayathri have always been at loggerheads since the beginning of Bigg Boss Tamil. Though, they apparently tried to clear their differences but failed to shared cordial terms.